Howaida Taha, al Jazeera journalist, was detained in January 2007, while making a documentary on torture in Egypt. Her case comes up on 3 December. The documentary was broadcast on al Jazeera in April and has become a significant testimony of the violations committed by the country’s security apparatus. Ms Taha was sentenced in absentia on the 2 May by al Nozha Felonies Court in Egypt to six months in prison and hard labour under Article 80 and 178 of the penal code, which prohibit ‘acts that intend to harm national interests’ and ‘possessing and giving pictures and recorded material that undermine the image of the country by presenting material contrary to the reality or presenting inappropriate scenes’. On 5 December, Ibrahim Issa, editor-in-chief of al Dustour, will face trial in Algalaa’ Court. In September 2007, Issa was charged with publishing reports ‘likely to disturb public security and damage the public interest’ in respect of articles published in al Dustour about President Mubarak’s state of health. The third case will be heard on 8 December and threatens the existence of a number of blogs, news websites, and the websites of local and international human rights organizations – including Ifex, Index on Censorship, and the Arabic Network for Human Rights. Earlier this year, Judge Abd al-Fattah Mourad filed a lawsuit against a number of human rights NGOs and blogs, describing them as terrorist and accusing them of harming the reputation of Egypt and Arab rulers and of posting information which insult the President. He called for those websites to be blocked. Newspaper editor Ibrahim Eissa was sentenced by an Egyptian court to six months hard labor in jail for publishing an article last year about health problems facing Egypt's President Hosni Mubarak. He was found guilty of damaging the national economy, although bankers have said it was difficult to link the drop in foreign investment at the time to the articles that were published. Central Bank officials testified in court that investments of up to $350 million left the country on the days that Al-Dustour published the reports on the president's health. Last year, Eissa was sentenced along with three other newspaper editors to a year in prison in a separate case for defaming Mubarak and his ruling National Democratic party. That trial also concerned newspaper articles about the president's health. Eissa is one of the president's most outspoken critics. He has had run-ins with Egyptian authorities in the past. The paper was shut down for nearly seven years at one point. The editor says the latest sentence sheds light on the limits to press freedom in Egypt. He says the verdict proves that Mubarak's government crushes the international right to freedom of expression. The Boulak Abul Ela Appeal Court on the outskirts of Cairo reduced the six-month jail term given in March to Ibrahim Eissa, editor-in-chief of the independent daily Al-Dustour, to two months in prison for “publishing false information and rumors” about President Hosni Mubarak’s health. The court said Eissa’s August 2007 articles were likely to disturb public security and harm the country’s economy. The verdict, which was issued amid tight security measures and heavy police presence both inside and outside the courtroom, took lawyers by surprise and prompted protests among journalists and human rights activists, who chanted anti-Mubarak slogans inside the courthouse. The Committee to Protect Journalists welcomes the presidential pardon today of a two-month jail sentence against Ibrahim Eissa, editor-in-chief of the independent daily Al-Dustour. On September 28, a Court of appeal in Cairo reduced a six-month jail term given in March to Eissa to two months in prison for publishing false information and rumors about President Hosni Mubarak’s health. The court said Eissa’s August 2007 articles were likely to disturb public security and harm the country’s economy. 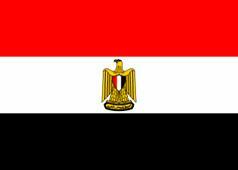 The presidential pardon coincide with Egypt celebrates the anniversary of a 1973 war against the state of Israel. We are relieved that Ibrahim Eissa will not serve time in jail, said CPJ Executive Director Joel Simon. His sentence was nothing more than retaliation for reporting the government did not like. The readers of Al Badeel newspaper were shocked by its absence in markets. The Network was informed that Al Ahram printers had refused to complete printing the first edition that came out in evening, they also refused to print the second edition entirely. Joyfulness in Pakistan following the President Resignation… Egyptian Politicians: Wishing the same for us. Big Fire in al Shoura Council Building, reached the People’s Council”. This is what seems to have annoyed the security apparatus, particularly the suggestion of arson. Report on the “Death Ferry” and Cancerous Pesticides. An Egyptian editor was sentenced to one-year in prison as the Egyptian government continued its efforts to censor media in the country. Press freedom groups have condemned the ruling, saying Cairo is doing little to ensure freedom of the press. Ahmed Baker Seleem, editor of the Cairo Today newspaper, was handed a one-year jail term for publishing a newspaper without a license, the state-owned Middle East News Agency (MENA) reported. Seleem, who was also fined 10,000 Egyptian pounds (US$1,845), is currently free on bail while he awaits appeal. The case was brought to court after a rival newspaper accused Seleem of defamation. 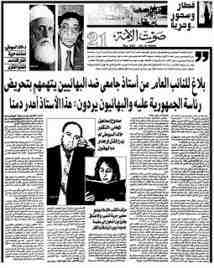 It was later discovered that Cairo Today had been publishing without a license. Modern Egypt has been compared to a surrealist painting: difficult to decipher and comprehend, dominated by dark, abrasive lines at the centre yet giving way to softer, more hopeful brush strokes at the periphery. The president in Egypt is a god and gods don't get sick. Thus, President Mubarak, those surrounding him, and the hypocrites hide his illness and leave the country prey to rumours. It is not a serious illness. It's just old age. But the Egyptian people are entitled to know if the president is down with something as minor as the flu. In an Orwellian doublespeak world where the president declares his belief in press freedom to be "unshakeable" and promises that no journalist will go to jail for doing their job, that paragraph was enough to land Eissa in court, where he was accused of single-handedly undermining international confidence in Egypt's stability and wiping $350m off the stock market. Reporters Without Borders (RSF) condemned an Egyption court's recent decision to fine Nader Gohar, the head of the Cairo News Company (CNC), LE 150,000 after his company broadcast images of rioters tearing down portraits of President Hosni Mubarak in April. The court's decision is a death warrant to CNC, RSF said in a press statement. The Egyptian authorities are not even trying to hide their desire to censor independent media and control the news. The Egyptian Television and Radio union (ERTU) had filed a complaint against Gohar for airing footage of riots in the Delta region showing citizens protesting high prices and attacking President Mubarak's pictures. The footage dates back to April 6. Following the complaint, the Egyptian police forces raided CNC's office confiscating several pieces of equipment, accusing him of working without required licenses and permits. The video recording was later aired by channels such as Al Jazeera, Al Arabiya and France 2. The case is not legitimate as the sole reason behind it is the footage that shows the citizens stepping on President Mubarak's picture, Gamal Eid, head of the Arabic network for Human Rights Information (ANHRI) who is also part of Gohar's defense team told Daily News Egypt: Security forces wanted a scapegoat to show the president that they got who's responsible. According to Eid, ANHRI will appeal the case soon. Egypt's government plans to ease press censorship for two years and end property confiscation by the state, Al Ahram newspaper reported, without saying how it obtained the information. Prime Minister Ahmed Nazif will present the proposals to parliament in Cairo, the state-run newspaper said. The measures temporarily ease an emergency law that was introduced after Islamist militants assassinated President Anwar Sadat in 1981. The emergency law will still be applied against terrorism and narcotics suspects, Al Ahram said. Egypt's Information Ministry has launched a campaign with the Interior Ministry's censorship department to reconsider the permits of 16 satellite channels broadcasting from Egypt. 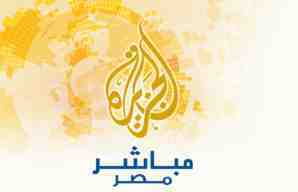 Informed sources told Al-Masry Al-Youm that the office of Al Jazeera Mubasher Misr, which began transmission following the ousting of former President Hosni Mubarak in February, was raided by Egyptian authorities. Information Minister Osama Heikal announced that the Supreme Council of the Armed Forces and the cabinet decided after a joint meeting that day to temporarily suspend granting new permits to satellite channels. They also decided to prosecute satellite channels deemed threatening to the stability of the country. Egyptian rights organizations meanwhile condemned the decision, saying it is a regression to the oppressive policies of Mubarak's regime. The Committee to Protect Journalists condemns the censorship of two newspapers in the past four days, the first instances of their kind since the ouster of former president Hosni Mubarak in February. Production of the Saturday edition of the independent weekly Sawt al-Umma was halted, while the daily Rose al-Youssef was prevented from printing a page in today's paper that was to feature a controversial story. The military government has revived Mubarak-era repression, said Mohamed Abdel Dayem, CPJ's Middle East and North Africa program coordinator. These two instances of censorship have been preceded by the closing of a news bureau, the interrogation of journalists, and other instances of press restrictions and intimidation. Al-Ahram printing house, which publishes the semi-official daily Al-Ahram and other newspapers, told Sawt al-Umma editors that it was halting production of its Saturday edition because of the paper's story on Mubarak's ongoing trial, news reports said. Sawt al-Umma was a frequent target of harassment under Mubarak's regime, CPJ research shows. The Rose al-Youssef article that offended described an alleged Israeli spy once stationed in Cairo. Egypt's newest newspaper has become the victim of state censorship after staff were ordered to shelve an entire print run of 20,000 copies over an article that suggested the leader of the governing Military Council could go to prison. Employees at the Egypt Independent, an English-language weekly, were told the latest edition could not be distributed because of the final two paragraphs of an opinion piece about Field Marshal Hussein Tantawi, the de facto president. It is another blow for those who have raised concerns about the direction of Egypt's revolution, with critics alleging that the country's top brass appear intent on undermining the popular uprising to preserve their decades-old networks of power. The offending article, headlined, Is Tantawi reading the public pulse correctly? , had suggested that many in the military believed their reputation was being abused. The military institution could remove him to save itself, argued the opinion piece, by American historian Dr Robert Springborg. It concluded that a group of discontented officers might decide that a coup within the coup was the best way to deal with Tantawi, and mentioned a possible contender for the Field Marshal's post. An Egyptian court ordered editions of a newspaper confiscated over claims that it insulted Islamist president Mohammed Morsi, Egypt's official news agency said. Editions of Al-Dustour , a privately owned daily, were seized after several individuals filed lawsuits accusing it of fuelling sedition and harming the president through phrases and wording punishable by law, MENA said. The paper, a tabloid owned by a Christian businessman, has been fiercely critical of Morsi and the Muslim Brotherhood while showing strong support for the military council, which took power after the ouster of Hosni Mubarak in last year's uprising. Saturday's edition featured a lengthy front-page article warning of a Brotherhood emirate seizing Egypt and calling on Egyptians to join ranks with the military to confront Islamists. The lawsuits also accuse the paper of inflammatory coverage of recent sectarian violence.